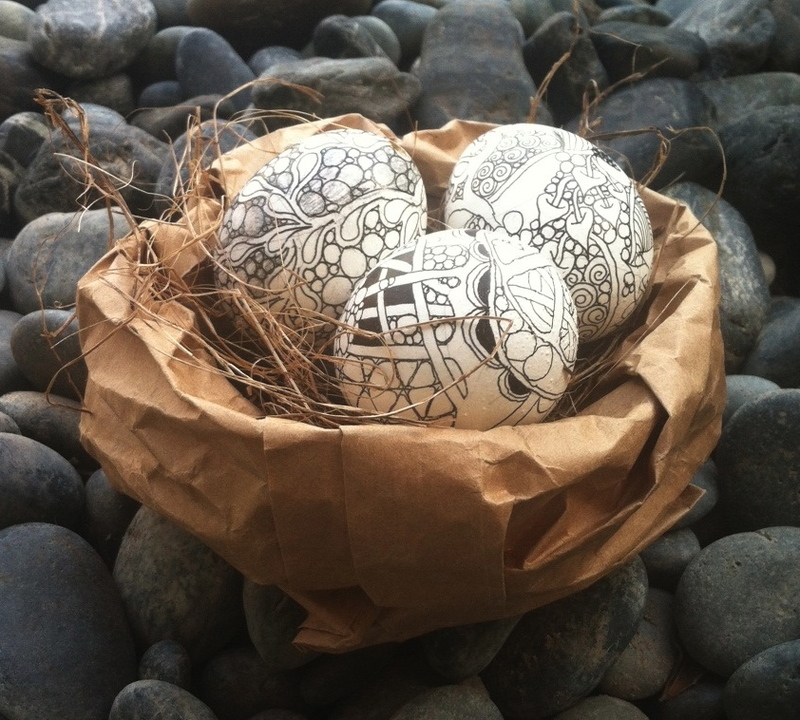 The ARTbar Studio/ARTstarters - Zentangle EGGstravaganza! 3 hours of Easter Egg Art - Zentangle and other fun surprises! We'll experiment with drawing tangle patterns on real eggs, creating "faux-dyed" fake eggs, and other egg art during this 3 hour afternoon of Easter fun!